Now featuring vertical baffles for more efficient warmth and natural body contouring, the 30? Pearl from Big Agnes is a women-specific down-filled bag with extra insulation in the core and foot areas. Now featuring vertical baffles for more efficient warmth and natural body contouring, the 15? Whether you're backpacking or car camping, the roomy Down Under delivers the warmth, comfort, and compressibility of down at an affordable price. Maximize warmth, minimize weight-featuring new vertical baffle technology and 800-fill European goose down, the Mountain Light 15? is the bag of choice for 3-season adventures. Probably the most useful bag you can own, the Mountain Hardwear Phantom 32? is lightweight, is warm, and really packs down. Be glad that the Mountain Hardwear Phantom 15? is no figment of the imagination; it's supremely warm and superlight, perfect for any backpack adventure. With Thermic Micro synthetic insulation for outstanding compressibility and durability, the UltraLamina 15? is an excellent choice for adventures in damp, cold conditions. Tipping the scales at just over a pound and insulated with 800-fill down, the Mountain Hardwear Phantom is a great 45? mummy bag for warmer climates and at lower elevations in summer. Superlight and technical with the fit and performance of a mummy bag, the Horse Thief from Big Agnes features vertical baffles and Pertex Quantum shell fabric for light and fast adventurers. A superlight, technical 45? 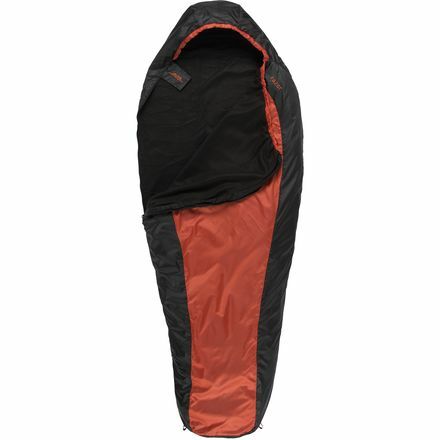 bag, the mummy-shaped Pitchpine features 800-fill goose down and Pertex Quantum shell fabric for light and fast adventurers. Featuring a revolutionary vertical baffle design, 800-fill goose down, and superlightweight Pertex Quantum shell fabric, the 30? Now featuring vertical baffles for more efficient warmth and natural body contouring, the roomy and supercomfortable 30? Now featuring vertical baffles for more efficient warmth and natural body contouring, the roomy and supercomfortable 45? Now featuring vertical baffles for more efficient warmth and natural body contouring, the roomy and supercomfortable 15? A perfect do-it-all bag, the Ramble Down keeps you warm while providing plenty of extra wiggle room. Maximize warmth, minimize weight-featuring new Flow technology and 800-fill European goose down, the Mountain Light 15? is the bag of choice for 3-season adventures.